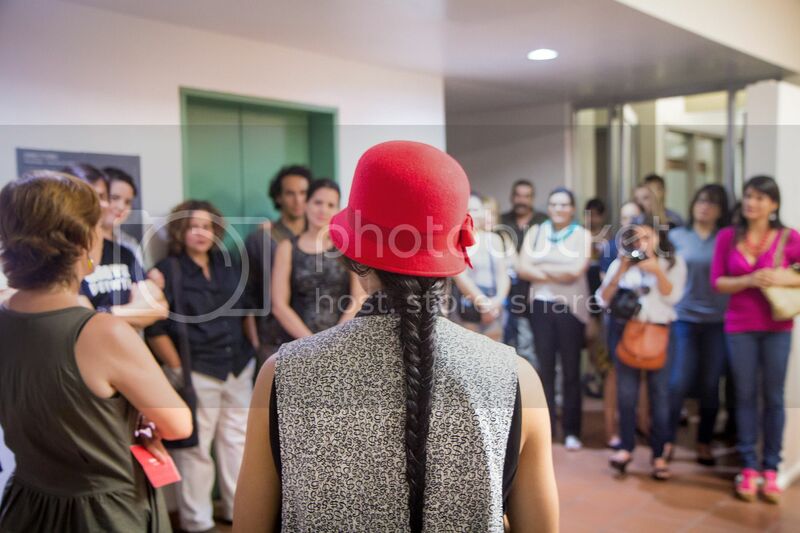 I am proud to say that I had my frist solo show yesterday! 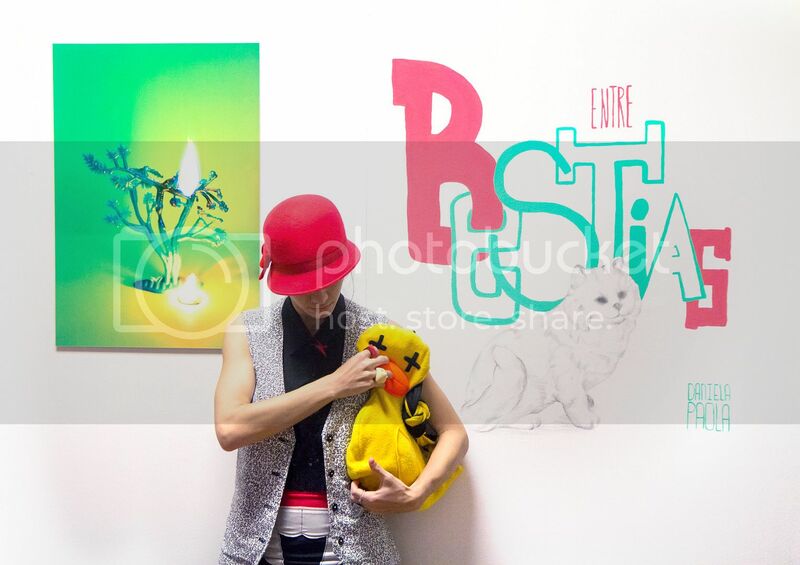 It was a photography expo "Entre Bestias" that means between beasts. 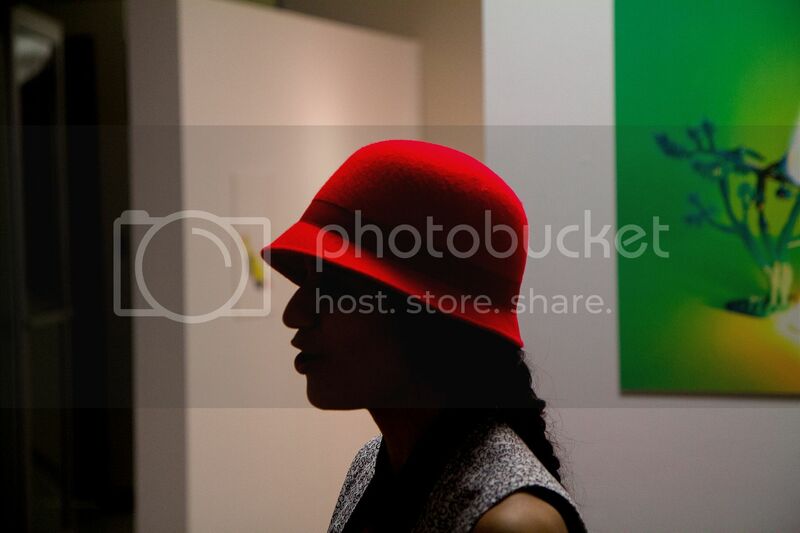 I was veeeeeeeeeeeery excited to have finally done this art show. 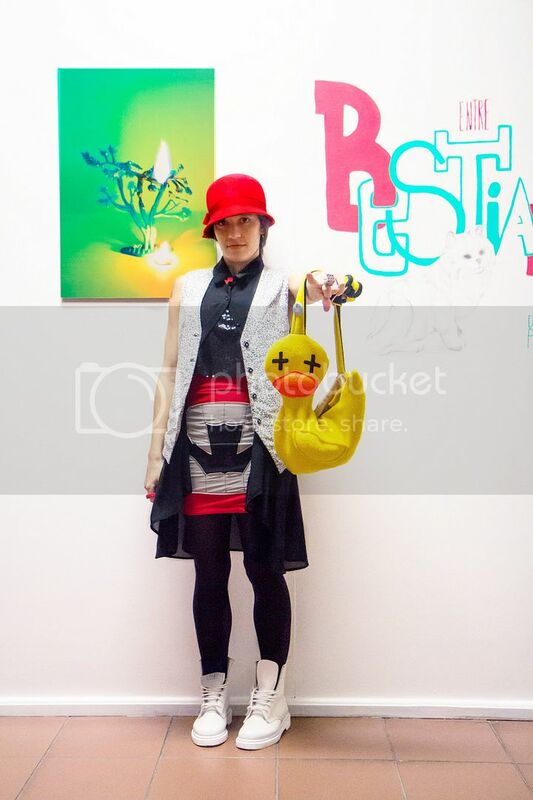 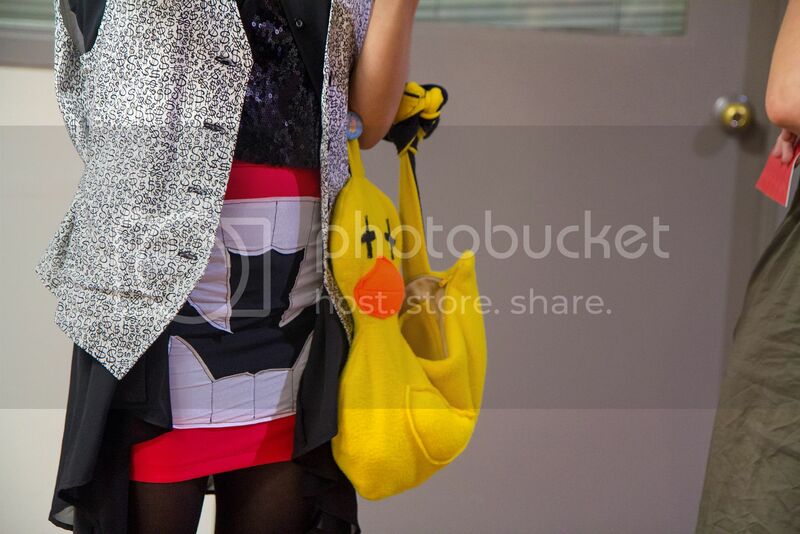 I wanted to go with the theme of my show so I wore a giant vampire mouth on my skirt and my bag that was a dead duck!